On Sunday, April 26, 2015, a man made an exciting discovery at a North Georgia Goodwill. It was a Timex watch unlike any other. Now watch collectors can only wonder if this watch will reach the rarified heights that other unique thrift store watches have attained at auction. In February, a man found a 1959 Jaeger-LaCoultre dive watch in a Phoenix Goodwill. His $6 watch find sold for $35,000 at auction. Today, we have an exclusive interview with the owner of this interesting Timex! What makes this Timex watch unique? When you hold this watch towards the sun, you'll see that there are a series of shadows on the dial. These shadows are cast by fine, nearly invisible, scratches on the crystal. 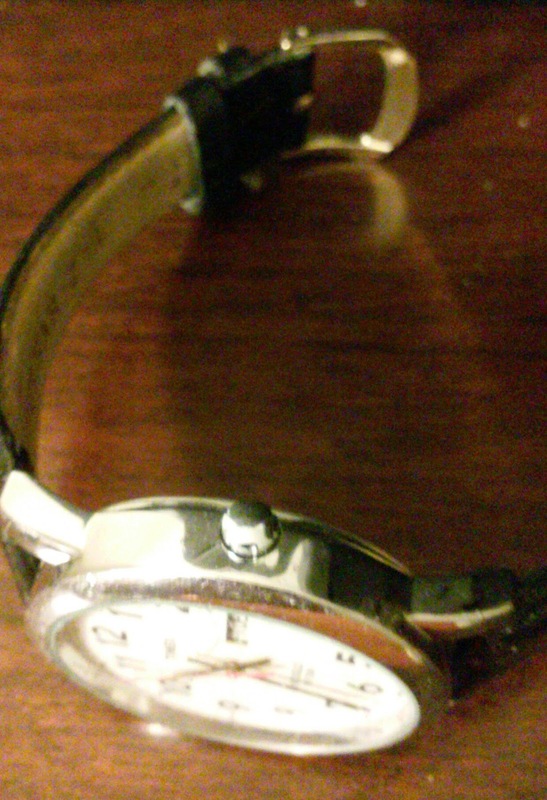 No other old Timex has this exact series of scratches. Each scratch represents a moment in the history of this watch and its wearer. It gives one goosebumps just to think of all the history in this one watch. It has taken a licking and keeps on ticking. Why did you choose this particular watch? 1. It looked like a man's watch and I am a man. Men's watches seem to be exceedingly rare at Goodwill. 2. It was actually running. Have you made any improvements to this watch? 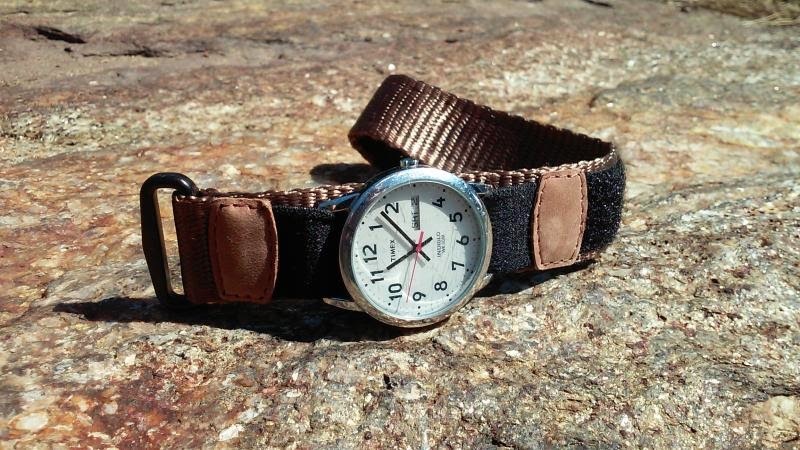 When I found this watch, it was shod in a ratty old velcro band from a Timex Expedition. 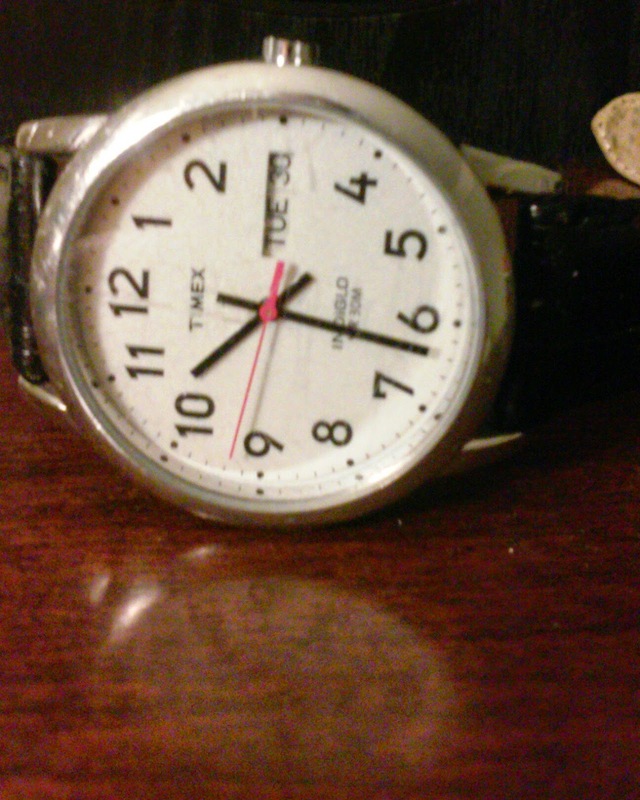 But, from the clarity of the number on a white dial, I believe it to be some sort of Timex Easy Reader . I initially switched the strap out for a clean new leather strap. I don't think that detracted from the value of the watch. However, it did look dainty and less masculine. My next move was to leather strap out for a velcro and nylon strap that looked considerably more rugged. It's amazing how much difference a $5 strap from Walmart can make. I believe that I have boosted the value of the watch immensely. It's certainly a watch that I can wear regularly now. When was this watch made? 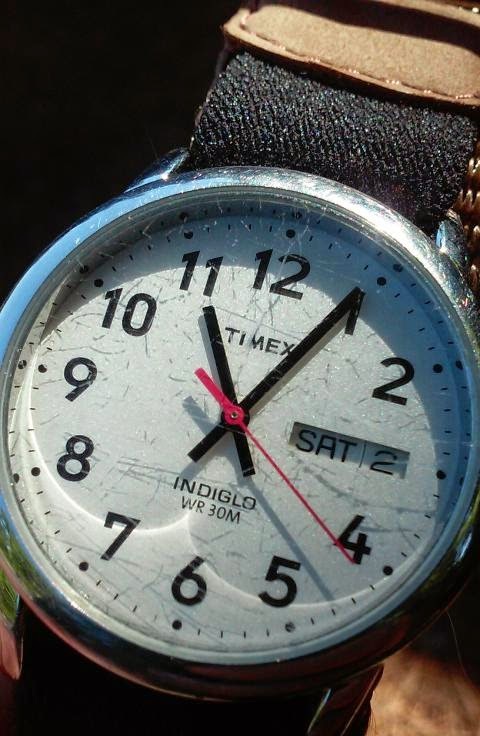 While the Timex Easy Reader has a vintage look, the presence of Indiglo dial lighting reveals that it was made more recently. Plus, it has a quartz movement. Thus, we can deduce that it must be a thoroughly modern masterpiece. In fact, you can get similar watches now on Amazon.com and at Walmart. Is this watch for men or women? This Timex watch may well transcend traditional gender-based fashion. It has a rather small 35 millimeter diameter case. The 35 millimeter case is found on mens, womens, and unisex versions. This watch is a little small for a man. With the factory strap, it's a great woman's watch. With a more manly strap, it works well for a man. What do you expect this watch to fetch at auction? I think serious horologists will undervalue this watch. While it intrinsically has value by virtue of its ability to keep accurate time, the collecting community may undervalue the simple style and functional honesty of this important timepiece. Thus, I believe this watch will fetch somewhat less than the desired $2 million dollars. I may simply keep it. 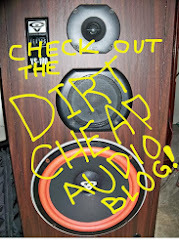 It has large numbers, indiglo backlighting, and a very readable dial. How much did you pay for this watch? $5. But, mine had "historic" scratches in the crystal from the outset. Others may have to buy the watch new and install their own scratches. Overall, what do you think of the Timex Easy Reader? I like the Timex Easy Reader quite a bit. I would have never bought it new with the idea of installing a different strap. 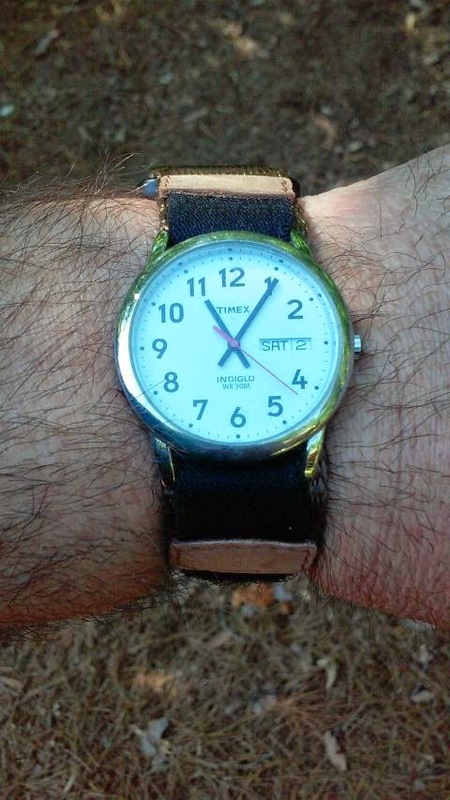 But, with a wider, more manly, strap, I can see why many people like the simplicity of the Timex Easy Reader. It's a great basic bang around watch.